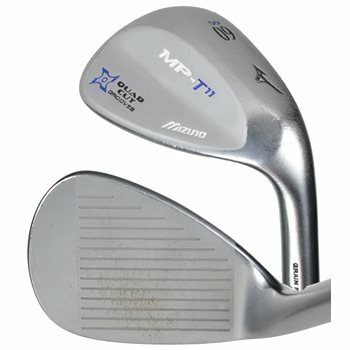 The Mizuno MP T-11 wedge features Condition of Competition Quad Cut Grooves and a CNC milled face, resulting in maximum spin under all conditions. It comes stock with a True Temper DG Spinner shaft, which improves spin rates and produces a controlled, more penetrating trajectory. It also features a 360-degree sole grind for incredible versatility, and is Grain Flow Forged from 1025E Pure Select mild carbon steel.